Queen singer Freddie Mercury took his final curtain call 23 years ago this November but his music lives on. Fellow band members Brian May and Roger Taylor are set to tour again as Queen with Adam Lambert as frontman and on November 10 a new compilation CD, including three previously unreleased tracks, is unveiled. 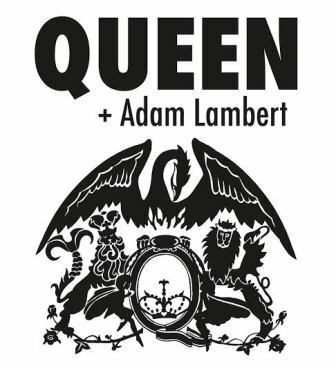 The Queen plus Adam Lambert tour plays Birmingham NIA on January 23, 2015. Brian and Roger first teamed up with Adam in 2009 to perform Queen's rock anthem We Are the Champions on American Idol's season eight finale. They joined forces again in 2011 at the MTV European Music Awards in Belfast. In the summer of 2012 they performed their first live concerts, including three sold-out shows in the UK and appearances in Russia, Ukraine and Poland. A one-off performance at the IHeartRadio Music Festival in Las Vegas last September triggered the idea to take the show on the road. What followed was a world tour taking in North America, Australia, New Zealand, Korea and Japan. "On the technical side, it's definitely more of a production than two years ago," enthuses Adam of the show. "We've had a lot more cities to visit and so I think we all decided to build up the visuals and the stage accordingly, and of course we do all the hits." Drummer Roger Taylor is excited about collaborating again with Adam. ''Each time we've worked with Adam with our music he's just the most incredible front man,'' he says. "He's sensational. He's an extraordinary singer and a real talent. I feel he fits into our sort of theatricality. It is very comfortable." Adam will probably only tour, rather than record, with Queen in the near future but previously unreleased band tracks with Freddie Mercury can be heard on Queen Forever, the new compilation album. Included is the long anticipated Michael Jackson collaboration, There Must Be More to Life Than This, a previously unfinished Mercury-Queen track, Let Me In Your Heart Again, originating from the band's The Works album recording sessions, and a new stripped-down ballad version of Mercury's first solo hit, Love Kills. The rest of the package brings together Queen hits, classic tracks, and new takes on well-known songs, matched with band recordings that Brian May describes as "things that we have collected together that are representative of our growth rather than the big hits." There Must Be More to Life Than This began as a song written by Freddie during sessions for Queen's 1981 album, Hot Space. The band recorded a backing track but the song was never completed. 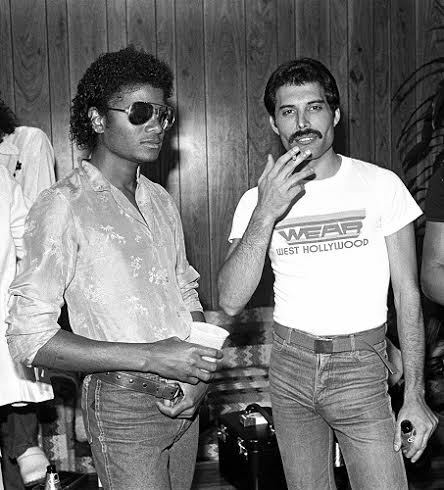 Freddie visited Michael Jackson at his home studio in Los Angeles where he recorded Jackson singing the song for an unfinished version. Queen revived the track during sessions for 1984's The Works but again it was not finished. A year later, Freddie's own version of the song surfaced on his debut solo album, 1985's Mr Bad Guy. This new production of the ballad by William Orbit fuses Queen's original backing track and Mercury and Jackson's distinctive vocals. 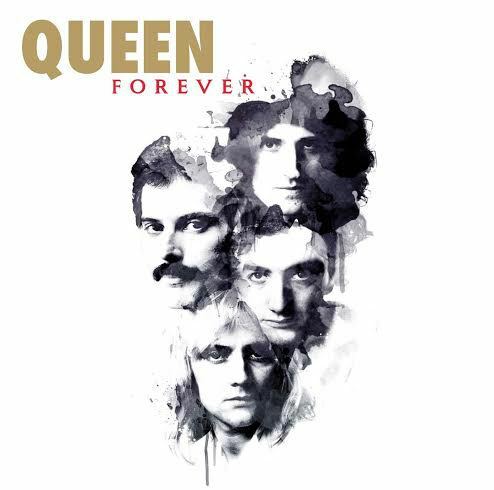 Brian May's Let Me In Your Heart Again was first recorded by Queen for The Works album but not completed at the time. On the new album it features Freddie's vocals, newly recorded guitar parts and new backing vocals from Brian and Roger. Love Kills, was composed by Freddie Mercury and Giorgio Moroder for the soundtrack to Moroder's newly restored and tinted version of Fritz Lang's 1927 classic silent movie Metropolis in 1984. Freddie recorded a high-energy dance version of the song that became his debut solo hit in 1985. However, it is less well known that all four members of Queen played on the original track. The new Queen-Freddie studio version revives the Queen original with some newly recorded guitars and drums by May and Taylor. Why? 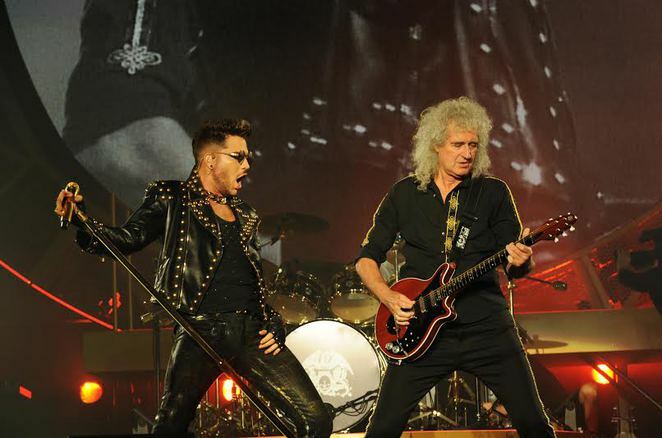 Rock royalty returns as Queen team up with Adam Lambert.